I remember the day that we looked at our little house on Fourth Avenue. It was a HUD foreclosure. It stunk. Literally everything was disgusting. Pretty sure my mom shed a few tears when she came into it the first time before we did any renovations. I will admit, it was a total disgust-fest. But, I saw the diamond underneath. This was not the first, third or even fifth house we had bought, but it would definitely be the biggest renovation to date. Still, my excitement was overwhelming. When we were fixing up that house, our dream was to buy as many of the houses on the street as we could and fix them up, too. I could just imagine the neighborhood sprinkled with these cute cottages we had put our touch on. We earnestly tried to get as many houses as we could. We mailed letters. We asked homeowners face to face. 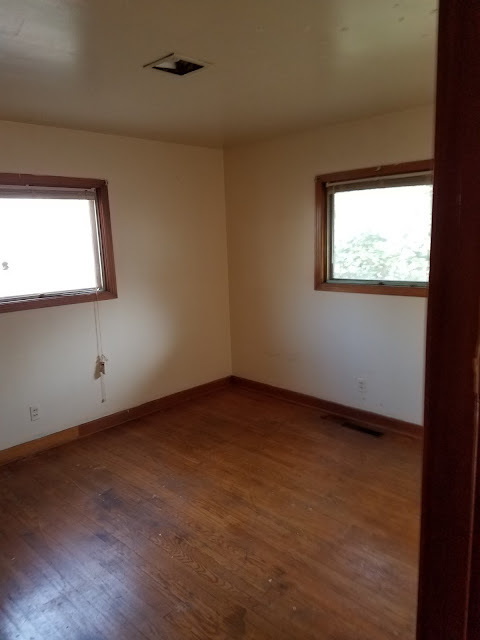 Every time a "for rent" sign went up, we would call the owners and ask if they would let us buy it. We really wanted this. A few months later, we got the opportunity to buy the house next door. 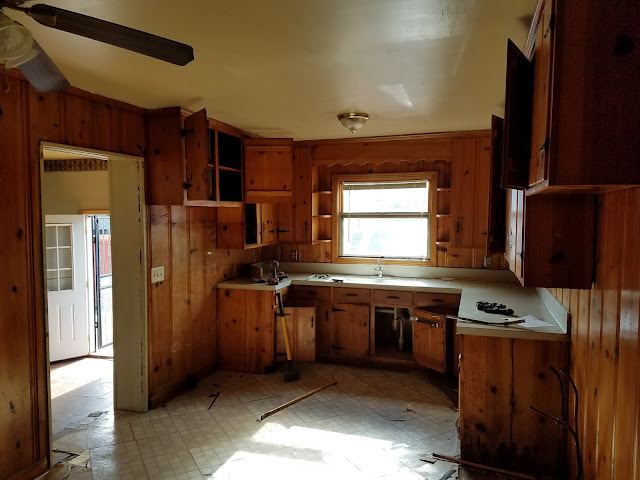 (Which we are in the thick of renovating now and is our biggest project to date) Then, just a couple of weeks ago an opportunity came up to buy the house one block down. That means, *drumroll* that we are currently on our FOURTH house not only on North Church Street, but within two blocks. Our little renovated downtown dreamland is finally coming to fruition and its such an exciting time. We love North Church. We have been on this street in some capacity for two years now. We know every neighbor. Most of them have our cell phone numbers. My brother and sister-in-law live on North Church. Two of my old co-workers live on North Church. They bring us goodies. They wave at us when they walk their dogs. It really is the greatest place we have ever lived and helping it improve even more is just such a labor of love. 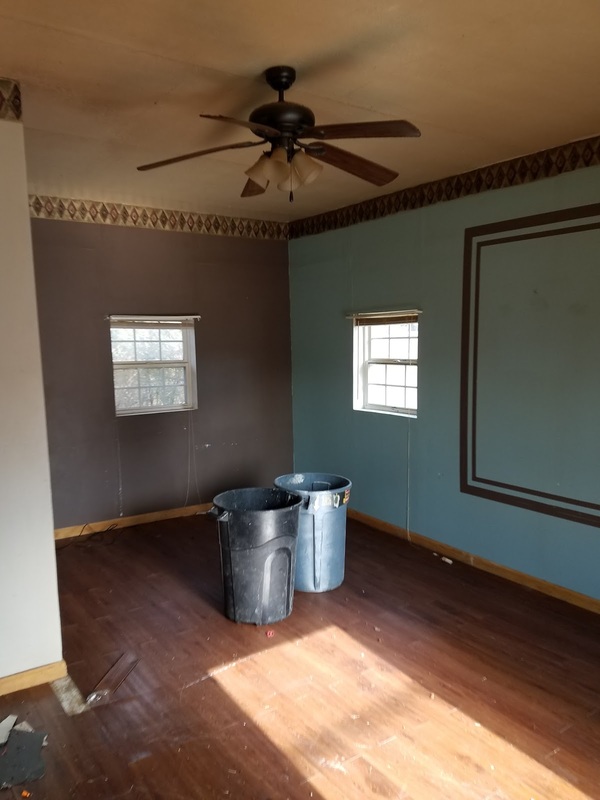 Without further ado, I am SO excited to show some nasty before pictures of the most recent home we are working on at 900 North Church. 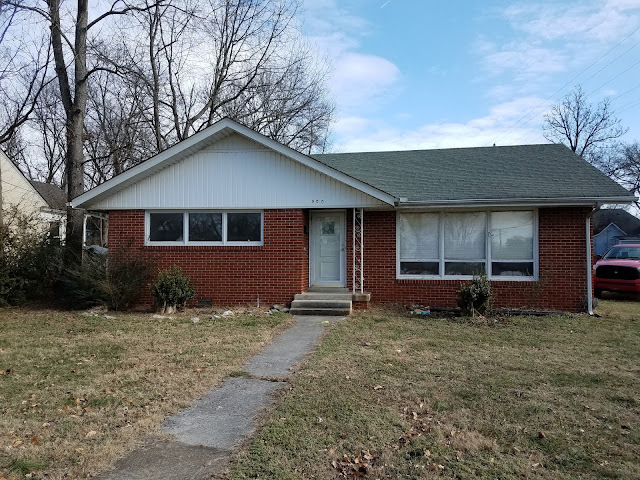 We are going to replace the windows, paint the brick, new landscaping, new column, shutters, new front door and put some cool hardi siding to replace and update the vinyl. This is such a large living room for an old home! 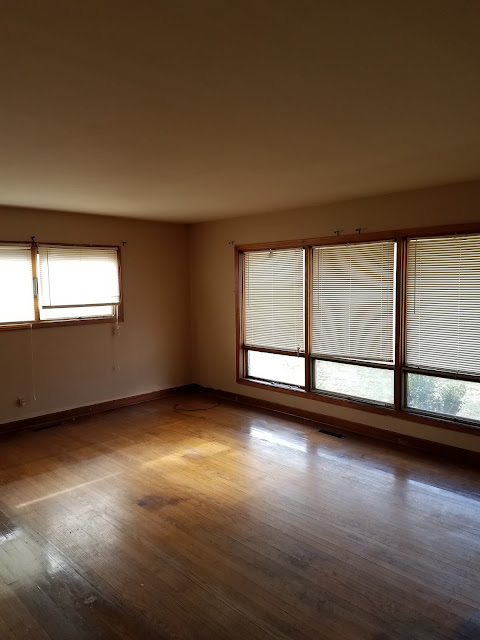 New windows, redone hardwoods, paint throughout and new lighting is going to really amp this room up. I am proud to announce that after a long weekend with lots of blood blisters, this kitchen is already gone. It will have all new cabinets, appliances and hardwoods. Luckily, we discovered the original hardwoods under FOUR layers of other flooring. Yay. We really think they can be saved, which is super exciting! This is a flex space off the back of the house. We will be relocating the back door to go out onto a concrete patio, new flooring, new lighting, new paint, etc. 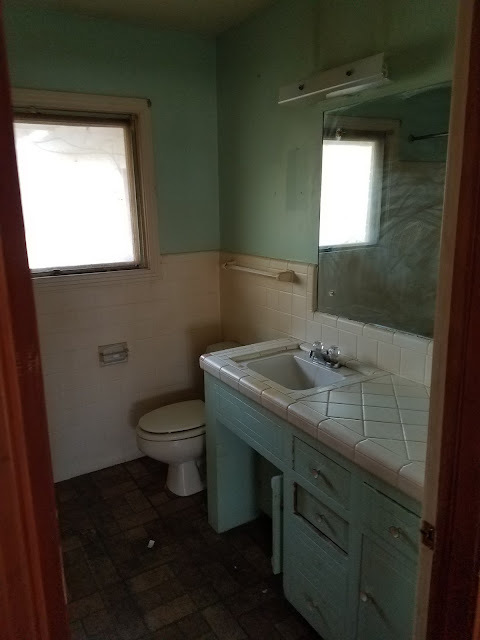 The bathroom was quite the bear to demo, but Im even prouder to announce that its fully demoed at this point. Yehaw. New tile, vanity, lighting, shower, the works. 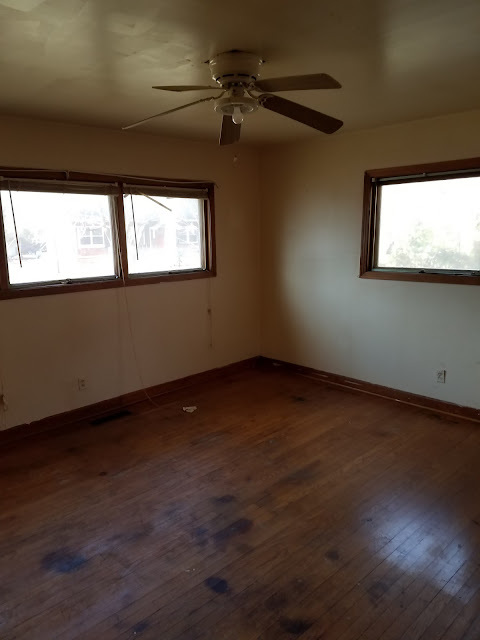 Two bedrooms that will both get a face-lift with new lighting, flooring windows, paint, etc. 900 N Church Street is going to be such a cutie. I am super excited about it. We are shooting to have it done in early April and can guarantee it will be a showstopper. I cant wait to keep you guys updated! Cheers to an exciting 2018.